Aqua Rope | Zonyxa. Unique and contemporary jewellery for Work. Love. Play. Pebble – power! An appealing combination of earthy and azure colours, spiced up with one Swarovski ball. 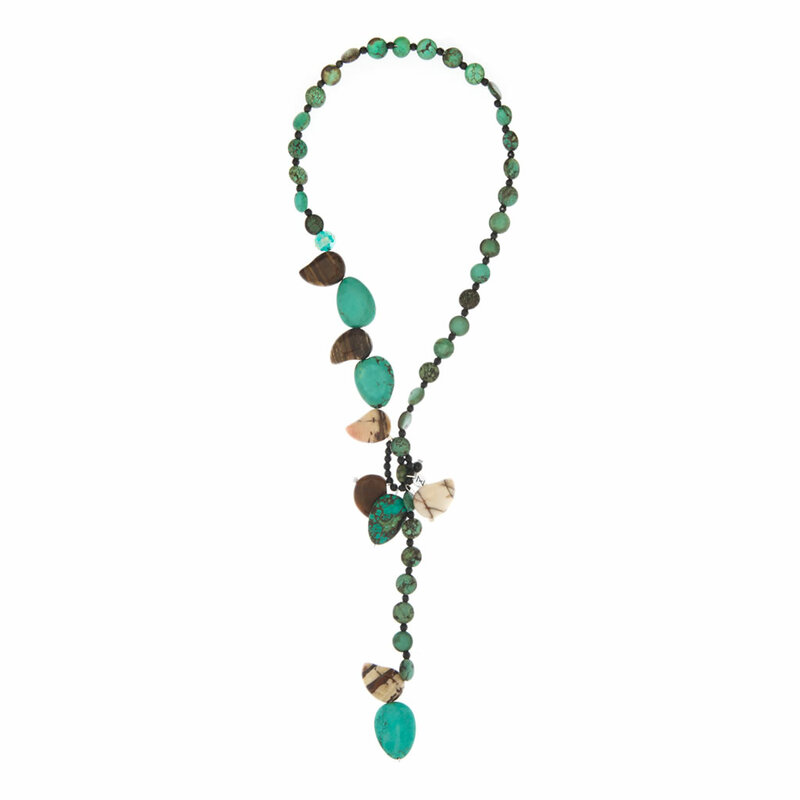 It’s completely adjustable – you can wear it as a long necklace or a chocker with a pendant. It’s perfect for summer day or night smart casual outfit. Materials: Coloured howlite, onyx, agate and Swarovski bead slip-knot.